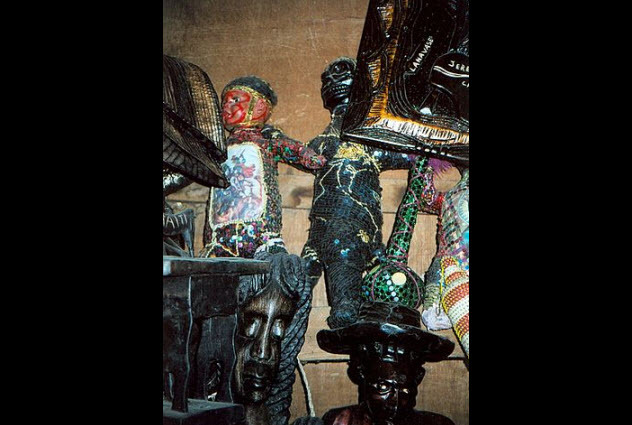 Voudon—or as it’s more commonly known, “voodoo”—has its origins in Haiti among slaves. 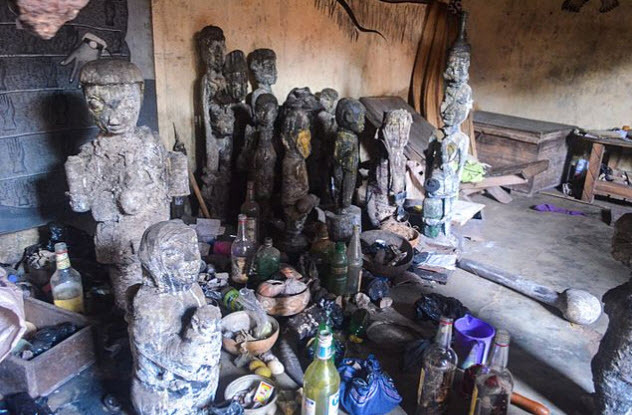 A related religion also called “voodoo” is still very popular in West Africa. 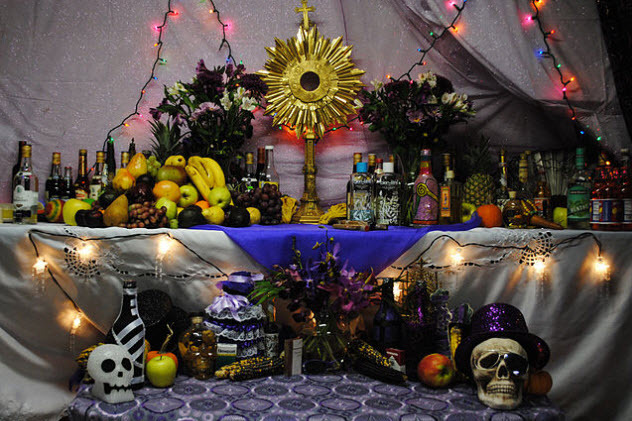 For the Haitians, voodoo is a mix of their African beliefs and Roman Catholicism that was forced on them. 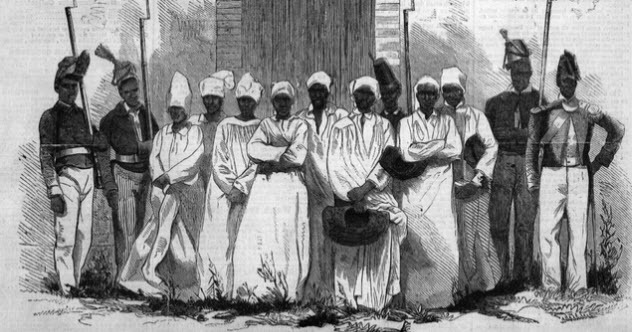 To ensure that the slaves converted to Christianity, the Christians demonized voodoo by associating the religion with black magic and barbaric sacrifices. In reality, voodoo is a mostly peaceful religion, although it can involve animal sacrifices. However, just like any other religion, there are people who do bad things in the name of voodoo. In December 1863, Congo Pele of Bizoton, Haiti, asked his sister Jeanne Pele, a voodoo priestess, for help in using voodoo to gain wealth and power. Jeanne agreed to help him. The siblings consulted two other voodoo priests on the best way to achieve their goal, and the priests suggested that they would need to sacrifice a “goat without horns,” otherwise known as a human. On December 27, Jeanne invited her sister to go to nearby Port-au-Prince for the afternoon. Congo and two other voodoo priests kidnapped Jeanne and Congo’s 12-year-old niece, Claircine, hiding her under an altar until New Year’s Eve. Then they performed an elaborate voodoo ceremony that culminated in Claircine being strangled, flayed, dismembered, and decapitated. With her blood stored in jars, she was also cooked and cannibalized. A short time later, four women and four men, including Congo and Jeanne, were arrested and charged with the murder. After confessing in open court, they were publicly executed in front of a large crowd on February 13, 1864. However, it’s unclear if the crime known as l’affaire de Bizoton even happened. There was little physical evidence, and it appeared that all the defendants had been beaten before confessing. Also, at the time, the president of Haiti was Fabre Geffrard, who was born a slave but was strongly pro-Catholic. He wanted the country to move away from aspects of African culture like voodoo, and the trial was an ideal way to showcase the religion’s so-called evils. Nevertheless, this story made headlines across the world and forever changed the perception of voodoo. In July 2001, 13-year-old Jummai Hassan of Maiduguri, Nigeria, was arrested in connection with the disappearance of a two-year-old boy identified only as “Ibro.” Hassan had been in trouble with the law previously for burning down a neighbor’s home and attempting to murder a girl. This time, Hassan said that she had murdered the boy and sold his body parts to a witch doctor for use in voodoo rituals. After the confession, the body was exhumed, and Hassan was charged with the boy’s murder. But Hassan wasn’t finished confessing. She claimed that since being inducted into a cult seven years earlier, she had been involved with 48 murders, including the killing of her own father. She offered to take the police to more bodies, but when she did, no other bodies were found. Hassan also accused a civil servant named Michael Ashade Akinona of being involved in the cult. When they searched his house, they found powder, black pots, and other items linked to voodoo, but there was no physical evidence connecting him with any murders. Roughly half of Haiti’s 9.6 million citizens practice voodoo. Needless to say, the religion holds a large and influential position in the country. However, the belief in voodoo and a lack of information about cholera became a problem when there was a serious cholera outbreak after a devastating earthquake rocked the impoverished island on January 12, 2010. Between October and December 2010, 2,500 people died from the waterborne disease, another 121,000 were showing symptoms, and 63,500 people had been admitted to a hospital. Many Haitians did not know what cholera was or how it could affect them, which led to mass panic in some areas of the country. They began blaming voodoo priests for spreading the disease. Mobs killed 45 voodoo priests over the span of a few weeks in December 2010. Many were lynched, stoned, or hacked to death with machetes and then set on fire in the streets. Most of those mob murders happened in the coastal town of Jeremie, although there were also a few in Cap Haitien and the Central Plateau. After the attacks, the minister of communications for Haiti called for calm and asked for help from the United Nations to spread knowledge about the disease. During the 2010 outbreak, 200,000 Haitians died of cholera. As of autumn 2015, it is still a major problem. In July 1997, the body of 45-year-old tech CEO Mark Foster was found on the roadside in northeastern Wisconsin. Dressed in white clothes, he had been shot. Mark had been involved in voodoo and even had a small cult where he was the high priest. As summer 1997 drew near, Foster was in financial trouble, and his once prosperous business was in ruins. That was when he decided it was time for his soul to pass on to Gregory Friesner, one of his devotees. As Foster explained to Friesner, Foster had been involved in a voodoo ritual in New Orleans where he had murdered his predecessor to become high priest. By killing him, Foster claimed his predecessor’s soul and the souls of all the people that his predecessor had killed (as in the movie Highlander). To pass on the soul lineage, it was up to Friesner to shoot Foster. Friesner agreed. On July 18, Foster’s nephew drove Friesner and Foster to the Wisconsin state line. There, Friesner wore coveralls with a gas mask and aimed the gun at Foster’s heart. Friesner pulled the trigger once, but the rifle didn’t fire. Foster took the gun, put a bullet into the chamber, and handed it back to Friesner. The second time Friesner pulled the trigger, a bullet flew out of the chamber and into Foster’s chest, killing him. Foster’s nephew was given four years for his involvement in the murder, and Friesner was given 10 years. There is no record of Foster ever killing anyone in New Orleans. In April 2011, the lawyer who handled the social security checks for 49-year-old James Gerety of Topeka, Kansas, reported him missing. The top of Gerety’s skull wouldn’t be found until a year later on the property of a man named Jeff Harris. His girlfriend found it while looking for mushrooms. After she unearthed it, she brought it into the house, and the couple called the police. Two years later, it was revealed that the property owner’s son, James Paul Harris, was involved in the murder. Harris and Gerety had been planning to move in together as roommates. According to Harris’s ex-girlfriend, Harris shot Gerety in the stomach and then tortured him for two days. Finally, Harris decapitated Gerety with a guitar string. Harris kept the head and used it in voodoo rituals. As only part of the skull was found, it was a difficult case to prosecute. In April 2014, Harris pleaded guilty to a lesser charge of involuntary manslaughter and was given a sentence of four years and two months in prison. Reverend Willie Maxwell was a voodoo priest who held services in a chapel in Alexander City, Alabama. Maxwell had supposedly traveled to Mississippi to be trained in voodoo by a group called the “Seven Sisters.” As a result, some members of the African-American community lived in fear of him. This fear may have helped him get away with a few murders because people were afraid to speak out against him. The first murder was that of his first wife in 1969. She was found strangled and beaten in her car. Maxwell was charged with her murder and went to trial but was ultimately acquitted. The primary reason for his acquittal was that he had married the main witness for the prosecution and she had changed her story by the time he went to trial. Maxwell ultimately collected $90,000 on his first wife’s insurance policy. A short time later, Maxwell’s brother was found dead from exposure and excessive alcohol consumption. In 1973, his second wife, the one who was supposed to testify at the murder trial of his first wife, was also found dead. The cause of death was acute asthmatic bronchitis, which allowed Maxwell to collect $40,000 on her life insurance policy. Jump ahead to 1976, and Maxwell’s nephew is found dead after he drove his car off the highway. According to the autopsy, he died of natural causes. The last death happened in July 1976 when Maxwell’s 16-year-old stepdaughter, Shirley Ann Ellington, was found dead under a car. It looked like she had been crushed while she was trying to change a tire, but the police were sure it was murder. At her funeral, Maxwell was speaking to the attendees when Ellington’s sister screamed, “You killed my sister and now you’re going to pay for it!” Then Ellington’s uncle, Robert Burns, drew a Beretta and shot the voodoo priest three times point-blank in the face in front of 300 witnesses. Burns was arrested and went to a psychiatric hospital for 10 weeks. He was diagnosed with post-traumatic stress disorder. At one time, Harper Lee, author of To Kill a Mockingbird, had planned on writing about the tragic series of events surrounding the voodoo priest, but the book never came to fruition. On March 3, 1974, Josephine Gray’s husband, Norman Stribbling, was found shot to death in his car near Gaithersburg, Maryland. Shortly before he was killed, Stribbling had learned that his wife was having an affair with Robert Gray. Both Josephine and Robert were arrested two weeks after the murder, but the charges were dropped because witnesses refused to cooperate. After Josephine and Robert married in 1975, Robert’s family noticed that he was acting strangely. He became distant and depressed. Many family members felt like Josephine had Robert under some type of spell or trance. This behavior lasted until 1990 when Josephine got sexually involved with her teenage cousin, Clarence Goode, who was living with Robert and Josephine. In mid-1990, Robert got into an argument with Josephine. 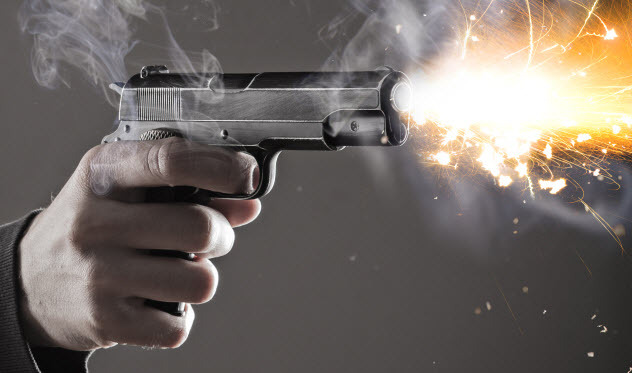 As she pulled a gun on him, he escaped out of a second-story window. Robert chose to leave Josephine, but he wasn’t safe from her. One day while driving, Josephine and Goode pulled up beside Robert. Goode aimed a gun at him, but Robert escaped once again. Robert went to the police for help, but it didn’t save him. On November 9, 1990, Robert was shot twice as he walked into his apartment. Josephine and Goode were charged with murder and released on bail. Some witnesses provided alibis for Josephine, and other witnesses changed their stories. At the time, her lawyers described as “absurd” the claims that Josephine was using voodoo to influence witnesses. And without witnesses, Josephine was able to escape prosecution again. On June 21, 1996, Goode’s body was found stuffed in the trunk of his car. He had been shot to death. Among his personal items, his mother found a black voodoo doll made with real hair. Then in August 2002, Josephine was charged with insurance fraud. The police could prove she was involved with the deaths of her two husbands and received life insurance payouts both times. At her fraud trial, it was revealed that Josephine had a secret life that was heavily involved with voodoo. When police searched her home, they found voodoo dolls stuck with various pins. Finally, during a sting involving fake insurance agents, the police recorded Josephine whispering voodoo curses. Josephine was found guilty of fraud. In December 2002, she was sentenced to 40 years in prison. On the day after Thanksgiving 1974 in the small town of Milton, Delaware, 55-year-old Frank Snyder was found dead in his bathtub with a butcher knife stuck in his chest. 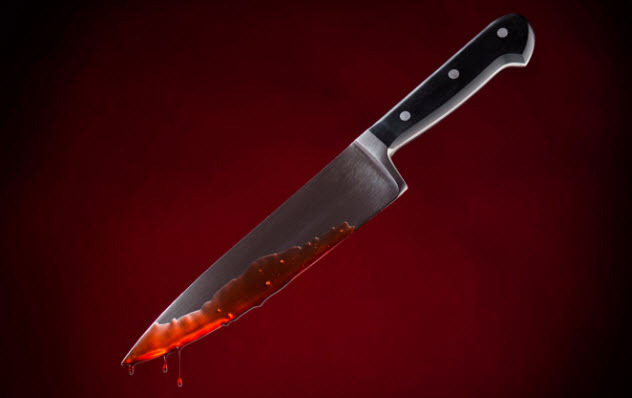 He had been stabbed 18–24 times. The knife and his head were both wrapped in a towel. Over the next 16 months, police investigated the murder, but witnesses wouldn’t cooperate because the chief suspect was a man named John Preston Rooks. Notorious in the area, Rooks was known as both “Black Jesus” and “Blue Jesus.” He was also known to use voodoo. Besides the Snyder murder, there were three other brutal deaths linked to Rooks. The first was in 1971 when Nathan Rogers won a few hundred dollars from Rooks while playing craps. A short time later, Rogers’s body was found dumped in the river after he had been hacked to death with an ax. It is believed that Rooks, Ricky Tolson, and Charlie Barrows had murdered Rogers. Both Tolson and Barrows bragged about the killing. But before any arrests were made, Tolson and Barrows met untimely deaths. First, Tolson was run over by a car. Then Barrows was sitting in a car drinking beer with friends when he suddenly vomited blood and choked to death. No cause of death was ever found. Ultimately, Rooks, George Reynolds, and Thomas Young were arrested for the 1974 murder of Snyder. They were tried separately in 1977. At first, Reynolds—who was the getaway driver—didn’t implicate Rooks in the murder, but he did later. At his trial, Reynolds said that Young and Rooks killed Snyder as part of a ritual. When Reynolds was asked why he changed his story, he said that Rooks was involved with voodoo and could possibly harm him. After all, there were other strange deaths connected to Rooks. In the end, Reynolds and Young were convicted. Afterward, Reynolds’s lawyer thought the guilty verdict was caused by a voodoo hex. As for Rooks, the charges against him were dropped. The authorities lost track of him after the trial, and his whereabouts are unknown. At 11:30 PM on August 29, 2006, Francoise Mercier returned to her Staten Island home after her shift as a nurse’s aide. She had left her two-year-old daughter and four-year-old son at home with her 39-year-old fiance, Frantz Bordes. When she returned home, the apartment was quiet, and no one was in their bed. Mercier called a relative, thinking that her family might be there. Instead, she learned that Bordes had committed suicide by jumping in front of a subway train, and the whereabouts of her children were still a mystery. That’s when Mercier thought to check her bathroom. Bordes had drowned her two children in the bathtub. When police searched the apartment, they found seven notes written in Creole and English. In the notes, Bordes, who was a Haitian immigrant, wrote that his fiancee’s relatives had been using voodoo on him and the curse had worked. Another note said that “they” were trying to destroy him and that they were using voodoo against him. Mercier denied that her family was involved in voodoo and said that they were Christians. However, Bordes’s brother said that it is quite possible that his brother strongly believed in voodoo and would have taken it seriously. In October 1910, a police inspector in Haiti turned over a report about a 24-year-old voodoo high priestess named Esteis Liberis. In the report, he said that during the ceremonies, Liberis and other members of the cult would give tributes to a snake god (possibly Damballa). If misfortune had befallen the group, then an animal sacrifice would be made. At some point, Liberis suggested that they sacrifice a child. So cult member Conzo Pelle kidnapped his young niece after her mother had been lured away. When the mother returned and discovered that her daughter had been beckoned by the high priestess, she was apparently honored. A ceremony was arranged, and the girl was brought to the altar, where she was strangled by her Uncle Conzo. After her head was cut off, her blood was poured into a bowl and passed around so that everyone could drink it. Then her body was cut apart and cooked by two young girls. However, she wasn’t eaten. Instead, her cooked body was preserved. But that wasn’t the end of the killings. The two girls who cooked the body apparently had offended the god, so they were sacrificed as well. Then a few days later, two more children were sacrificed. The inspector said that when he searched Liberis’s house, he found the remains of a 12-year-old child pickling in a barrel.